In celebration of the museum's 50th anniversary, the special exhibit is Fantastic Finds: Treasures from the archives. When we try to define a treasure, many of us think of gold or jewels. But treasures don’t have to be sparkly; they can be rusty or tattered, and rich with history. The stories and events of which these artifacts are a part can make them priceless. For Fantastic Finds, museum staff delved deep within the permanent collection to identify a number of noteworthy items that have never been displayed, along with several pieces considered to be the museum's most important artifacts. These pieces each have their own unique stories to tell and serve as reminders of important places, people, and events. Chosen items relate to the third fur trade Walla Walla, the last military Fort Walla Walla, early Walla Walla, Walla Walla’s Chinatown, and various other items with unique stories to tell. Items of note include Norman Adams' Moonwalk illustration, a military strategy manual owned by General Cornwallis, the last Territorial Governor appointment for Miles C. Moore, an upright slot machine from the Davin Hotel, and more. This exhibit is scheduled to be up into 2019. Funding for this exhibit has been provided by the Wildhorse Foundation, Clara & Art Bald Trust, K.B. Wells Charitable Trust, Liz Conover, Larry and Karen Adams, Liz Conover, and Robert and Maryanne Freeman. Visit Fort Walla Walla Museum to discover a rich array of wartime artifacts and stories focused on the effects the two World Wars had on the citizens of the Walla Walla Valley. Stories, artifacts and photos will connect you to the local people who served in Europe and in the Pacific, and who endured the challenges of wartime at home. The remnants of a special exhibit, the fantastic World War II photographs of William "Bill" Mach, along with several cases of artifacts, are still on display in the Museum's Grand Hall. Fort Walla Walla Museum houses one of the nation’s largest collections of horse-era agricultural equipment, circa 1859-1930s. The collection illustrates the early days of farming in Walla Walla, a primary agriculture-producing region where wheat dominates and vegetables, cattle and sheep, orchards and vineyards thrive. In one hall, a 1920s harvest mural sets the scene for the impressive display of a 1919 Harris hillside wheat combine at work, complete with lifesize replicas of a team of 33 mules. Numerous of other exhibits include a pre-combine stationary threshing outfit, an ox-shoeing stall made of hand-hewn timbers, a cigar-shaped water wagon, and a branding iron collection. And at the nearby cook wagon, visitors can almost see the dust hanging in the air, the intense heat rising from the old cookstove, enamel plates piled with thick biscuits, and the sweat-soaked, dirt-stained men lining up at the door. More than 250 artifacts, regalia, photographs, and documents comprise the Lloyd Family Indian Artifact Collection. While the collection contains many well-preserved examples of traditional Indian crafts and truly wonderful pieces of art, it is the history associated with these items that makes them museum treasures. In the 1850s, a former member of the Oregon Volunteer Militia, Albert G. Lloyd, negotiated a treaty with the Palouse people for use of Indian land. In exchange, the Indian people retained the use of a traditional campsite on the property. Through the years, trust grew between the Lloyd family and their Indian neighbors, the bonds of friendship strengthened by the frequent exchange of gifts. This positive relationship continued into the 1940s, and the gifts the Lloyds received were carefully stored away. Now, as we appreciate the vibrancy of color in woven bags, embroidery, baskets, and beadwork, we embrace a remarkable example for our time, a story of friendship between two very different cultures. Fort Walla Walla, one of the longest-occupied military posts in the Northwest, was home to dragoon, infantry, artillery, and cavalry units from 1856 to 1910. The presence of the Fort helped keep peace between settlers and the Homeland tribal peoples during much of this period. Soldiers from the Fort were only involved in a handful of military engagements, including that of Colonel Edward J. Steptoe and his men in 1858 and several battles during the Nez Perce and Bannock-Paiute Wars two decades later. After closing in 1910, the Fort briefly reopened during World War I as a training base for artillery. The Museum’s collection of military artifacts and archival photos as well as paintings and drawings brings this history to vivid life. Look back on the times and the people involved through stories, documents, and outstanding artifacts, including a 1902 14th Cavalry dress uniform, rare insignia and accouterments from belt buckles to cartridge boxes, and weapons ranging from an 1860 Light Cavalry Saber to a Colt dragoon revolver lost by one of Steptoe’s men. A showcase of hats representing fashions from 1850 to 1950 welcomes visitors to a roomful of early textiles. 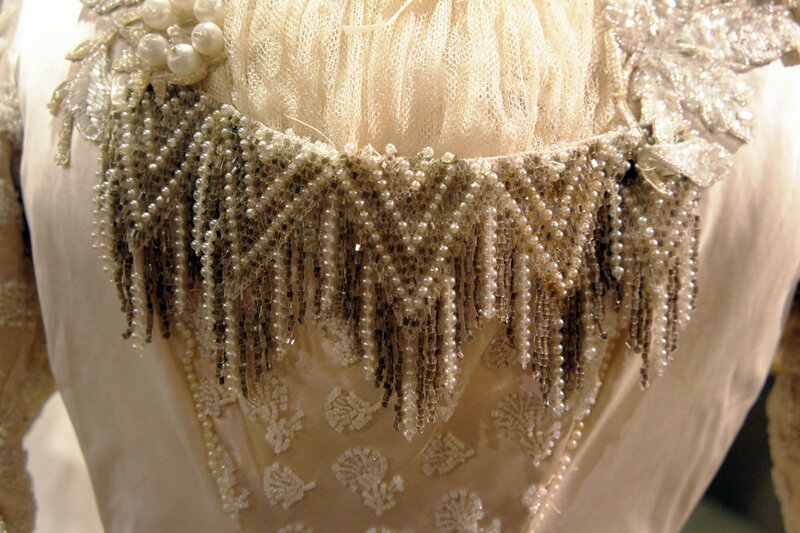 Items shown, many in pristine condition, range from women’s dresses, dressed dolls, and children’s apparel to Indian regalia and trappers’ gear. Other textiles, including military uniforms, Walla Walla baseball uniforms, and pioneer domestic items enhance exhibits throughout the museum. Our Heritage Fashion Runway is a rotating exhibit showcasing women's, men's, and even children's fashions from times past. In June of 2017, Museum welcomed the return of the Blue Mountain, Dorsey Baker’s only surviving narrow gauge locomotive, to the Museum for long-term display. 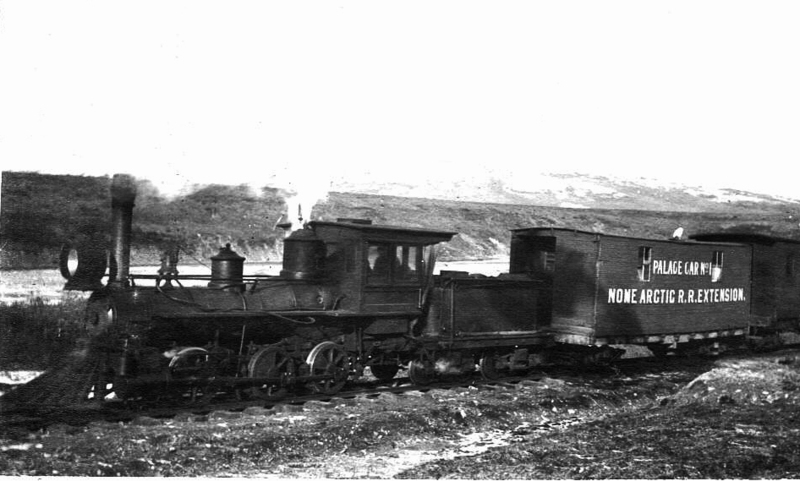 This locomotive was ordered by Dr. Baker in the fall of 1877 for the Walla Walla & Columbia River Railroad that ran between Wallula and Walla Walla. It is the oldest existing locomotive used in Washington State. Work on Dorsey Baker’s Railroad began in 1871 under the corporate name Walla Walla & Columbia River Railroad Company, and was completed in October of 1875. Timber for the road’s ties and bridges was obtained along the Yakima River and a mill was erected on the Columbia in Wallula to process the wood. Over 9,000 tons of wheat were hauled over the line in 1875; 15,266 tons in 1876. Baker sold most of his company stock in 1879 to the Oregon Steam Navigation Company (later the Oregon Railway and Navigation Company). Starting in 1881, local lines were converted to standard gauge, eventually leaving 14 miles of track into the Blue Mountains as the only remaining narrow gauge track in the area. In 1893, the Blue Mountain was shipped via boat to the Columbia gorge, where it worked the portage railroad for 11 years. In 1906 it was sent to the Nome gold fields of Alaska to serve mining operations. By 1910, the Nome gold rush was over and train service ended, marking the last run of the Blue Mountain. However, its story was not over—sometime in the 1940s, the locomotive was submerged in the Bering Sea as a part of the Nome sea wall. Eventually it was retrieved by a Nome resident and acquired by the Washington State Railroad Historical Society in Pasco, WA, in 1992. The Museum houses additional artifacts from the Walla Walla & Columbia River Railroad in the Babcock Railroad Depot, located in the Museum’s Pioneer Village. A Baker Railroad Diorama showing a scale model of the railroad can be found in the Museum’s Exhibit Hall 2. Work will continue into the future on the Blue Mountain’s restoration and exhibit space. The project partners who helped to bring the Blue Mountain home include Baker Boyer Bank, Konen Rock Products, Lampson International, Narum Concrete Co, Opp & Seibold General Construction, Palouse River & Coulee City Railroad, Town & Country Tree Service, Walla Walla Community College, Walla Walla Sunrise Rotary, Washington State Railroads Historical Society, and the support of private donors. A Concord Coach, shipped here in 1861 by way of Cape Horn, entices visitors into Walla Walla’s colorful frontier history as soon as they enter the museum. Passengers from outlaws to priests, soldiers to settlers probably rode the rugged coach, thankful when they finally arrived at this territorial town. Throughout the museum, other early modes of transportation can be seen, most driven at one time or another through the towns and farms of the Walla Walla valley. These range from the elegant to the workaday and include a “Southern Special” buggy, a fancy doctor’s buggy, a sport buggy or convertible, and several sleighs. Many styles of wagons are featured, including a heavy dray wagon, circa 1900, and a variety of buckboards. Finally, visitors will not want to miss the beauiful horse-drawn fire pumper purchased in 1904 by the Walla Walla fire department. It is displayed along with a hose cart and the brass poles and doors from the old fire station. The museum’s collection of old-time vehicles includes not only a Concord coach but also buggies, sleighs, freight wagons, a covered wagon, a 1921 Dodge touring car, and a horse drawn fire pumper puchased in 1904 by the Walla Walla fire department. Early buildings of Walla Walla. The Ransom Clark Cabin: Clark, a member of the 1843 Fremont surveying expedition, returned to settle in the valley and began building a log house in 1859. The large structure features two living areas separated by a breezeway. The Kennedy Playhouse: A charming miniature house built in 1903 by Henry and Clara Baker for their daughter, Henrietta, the playhouse showcases a doll collection and other child-sized artifacts, from dishes to a toy ironing board. Doctor’s Office: In the late 1800s local doctor Dorsey Baker may have used an office like this one, equipped with medical furnishings, instruments, and supplies of the day. The structure was originally a cabin that stood on the Fort’s grounds. Babcock Railroad Depot: In the 1880s, trains picked up passengers at small stations like this one built by the Northern Pacific near Eureka, Washington. It’s authenticity is enhanced by a collection of railroad artifacts from the region. Prescott Jail: When troublemakers celebrated too freely at the several taverns in Prescott, a town in the middle of wheat fields and farms 20 miles from Walla Walla, they likely saw the inside of this jail, built in 1903. Union School: Original blackboards and lamp brackets are among the features of Union School, one of the oldest and best preserved one-room schoolhouses in the area.